YES! I've been going back andd forth (oops) because some people really really like Google +. I've never really figured it out, so I think I'm a comment blogger now! Ah! I never thought about that! Thank you so much for sharing!! Apparently I already am one. Except I always forget to check the notify me button, whoops. I never even thought about this but it makes so much sense - great post!! This is a great post, and such an important one! Thanks for sharing! I had no idea about this! Thanks for sharing! You're too smart for me. Teach me your ways!!! Hello, this is me. At least I know it, right? Switching has been on my to-do list, but then something else comes up and I completely forget! But I'm putting it on my list for tomorrow, I swear! Such a helpful post, especially for new bloggers! I'm so glad that I'm able to have conversations with other bloggers via comments in my email! Loved this post!! I'm getting ready to start updating my blog and hosting a domain so this was definitely great information and very helpful! Hi, Caro!!!! So glad I found this post from you!!!! I believe that I am set to no longer be a no-reply blogger, but I've got one question. In the top right hand corner where my profile photo appears it only says 'View my complete Profile'. Previously I had a little introduction about myself there which is no longer showing. Is there any way how I can add the introduction again and not only have 'View my complete Profile' there? Hope you can follow what I'm saying!! Please help!!! Hi Caro! Thank you so much for this instructions. I had no idea about the no-reply blogger until another blogger told me the other day that I am a no-reply blogger. So I just followed your instruction to fix it. I did step number one and I do see the little orange B symbol, with the words Blogger profile next to this, so that means that I am a reply blogger, correct? Then why that blogger couldn't reply to me? Makes sense? Thank you so much for your help!! This was so helpful! 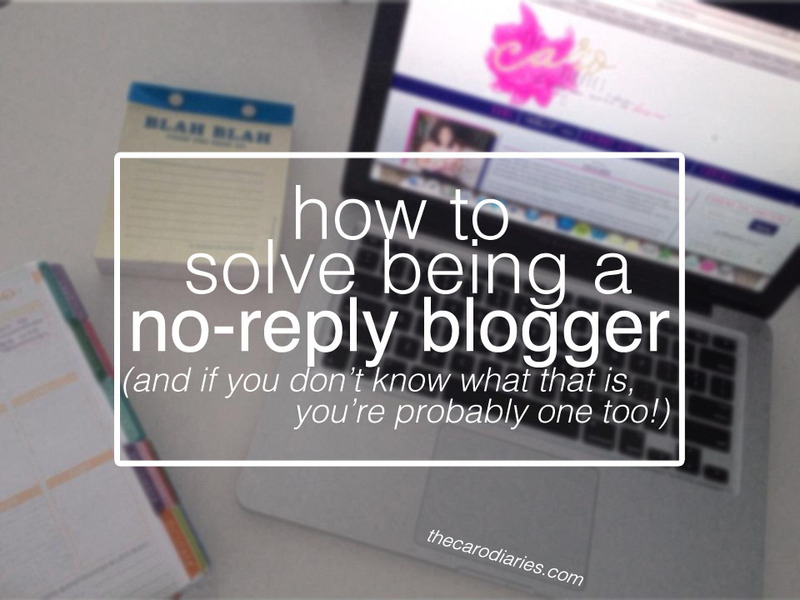 I didn't realize I was a no reply blogger or that was a even a thing! I just changed it and hopefully it works! Thanks for the help girl!